I followed her lead all the way, just changing up my colors (an obvious choice for a heart-themed card) and stamps. I substituted clear heart gems for her pearls and my stitching is faux. I thought my butterfly needed a little something, so at the very last minute, I added the button. I think this will also work for the wee Memories CAS challenge, so I'm entering it into that also. 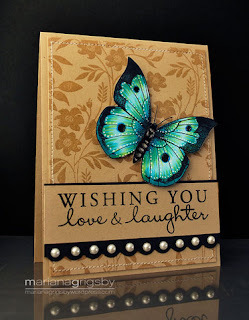 This is my card made for Embellish Magazine's color challenge using background stamping. The colors are yellow, black, white and grey. I love background stamps, and so I decided to ink up a couple that have been pushed aside recently for newer ones. The only yellow ink I have is mustard seed distress ink, so that's what I used for the branch background. Then I colored in all the dots with a fine-point black marker. 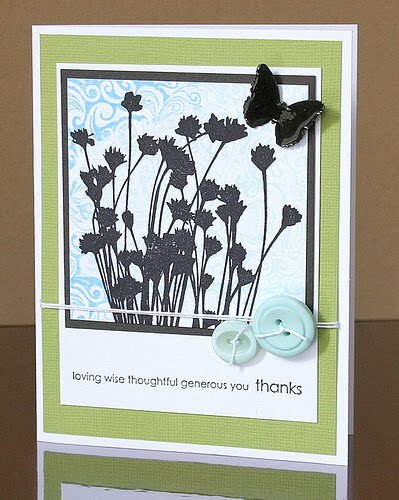 The Stripes Pattern was stamped using a grey ink, overstamped with the sentiment in a black ink. I noticed that little leaf pattern in the same set as my sentiments; it's never been used before, and so I made a leafy border to separate my 2 panels, stamping on yellow cardstock in black ink, and centering it with a black button. Everything was put on a black panel, which then went onto the yellow card. 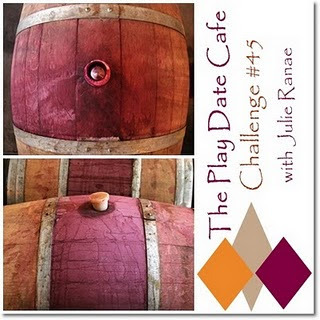 At PaperPlay Challenges, the theme this week is Coffee and Cream, to use only shades of brown. This really appealed to me, and so I went with the idea of opening up a trunk and finding these old bits, brown with age. I had made this flower a little earlier, because I loved the one that Heather used in her card. They are so much fun to make! This is the first day of Autumn! I hope you're not tired of my Autumn cards yet. These colors make me happy, and so do the usual cooler temperatures. But today we have highs almost in the 90's - what's up with that? Hoping for a return to "normal" soon! I'm entering this into the Stampin' Sisters in Christ challenge, to use fall colors and/or leaves. The prize there is a gift certificate to Our Daily Bread designs....I don't have any of their stamps and would love to try them! I used distress inks in autumn colors to color a sheet of glossy cardstock, and then overstamped the music background using water. I immediately heat set that, and then stamped the wreath using Adirondack cranberry ink. The sentiment was framed and popped in the center and I added a raffia-like bow to finish. Using a Harvest Rainbow inkpad, I stamped this leaf design 4 times on cream cardstock, cut them out, and then arranged them so that the color flows from the center gold outwards to the brown. These were then placed on a rusty brown panel, which in turn was framed with a turquoise cardstock, and then that was layered onto the cream base. To add a little more interest I added the turquoise button to the center, and the sentiment. A second entry for Caardvarks CAS challenge. I used a digital poinsettia by Jane Beljo, printed out twice on vellum, then colored with distress inks, and a new Hero Arts clear stamp for the sentiment. Also entering it into Moxie Fab World's Jolly Holiday Greetings challenge. At the Caardvark's blog, the challenge is to make a clean and simple card, and the sponsor this time is Hero Arts. I decided to use last year's Winter Tree to simulate this year's new cling stamp called Starry Night. I started by stamping my tree on glossy white cardstock and embossing it in white. Then I sponged faded jeans distress ink all over the card. This was then overstamped with a beautiful Memory Box stamp called Peace Collage in the same faded jeans ink. The "peace" didn't show up enough for me, so I restamped the bottom part of the collage stamp on white cardstock in faded jeans, tore along the top, and then trimmed the rest to fit over the main image, distressing all along the edges. Then I used 2 little snowflake stamps to add some more snowflakes, heat embossing some of them in white and stamping others in faded jeans. The whole panel was then adhered to a white cardstock base and I finished by adding a punched blue snowflake. I believe this is the first stand-alone tag I've ever made! I have Anne Gaal to thank for that! 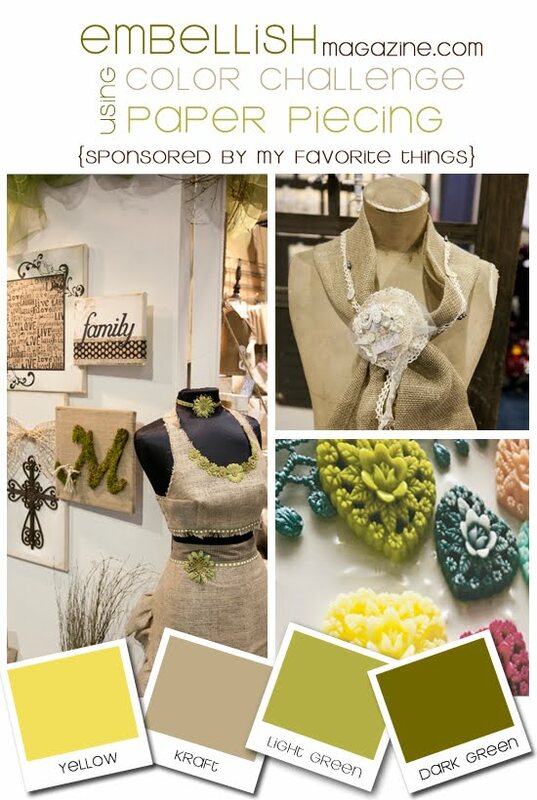 She has a challenge on her blog to use at least 3 techniques and make a tag. 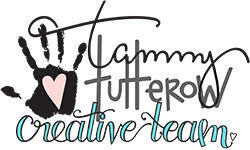 She is a wonderful teacher and has many gorgeous examples of these techniques on her blog; I encourage you to take some time and enjoy it. And Anne, "Andi sent me"! Andi had posted earlier today about Anne's challenge, and that was in the back of my mind as I made the card in my previous post. I had so much fun making these backgrounds - thank you, Anne, for making me do this! I hope this is the first of many tags that I make! I started with white glossy cardstock, and used the blending tool to color it with wild honey and spiced marmalade distress inks, and cranberry Adirondack ink. Then I spritzed the music background cling with a mix of perfect pearls and water, and overstamped that onto my background colors. I heat-set that, then used all of the above inks to overstamp the little maple leaf. Next was the overstamping of the sweet birds. I then used a bit of leftover background from my previous card to stamp the sentiment, framing it in kraft and hanging it on twine. It wouldn't hang at the right angle, so I used a bit of Glossy Accents as glue to hold it exactly where I wanted it, and to add my little heart button. AND, since this uses orange and string, I'm also entering it into the wee Memories Scrappy Saturday challenge. Please scroll on down to the post below to see a very similar project using some of the same techniques. 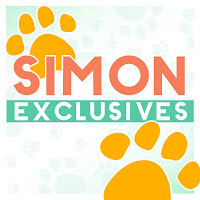 The very first challenge at The Ribbon Girl Blog is to use black, white, and orange. Orange is one of my favorite colors, especially at this time of year, so I started with a glossy white cardstock, and using my Tim Holtz color-blending tool, I swirled wild honey and spiced marmalade distress inks, then added Sunset and Cranberry Adirondack inks so that there was some depth in the colors across the paper. 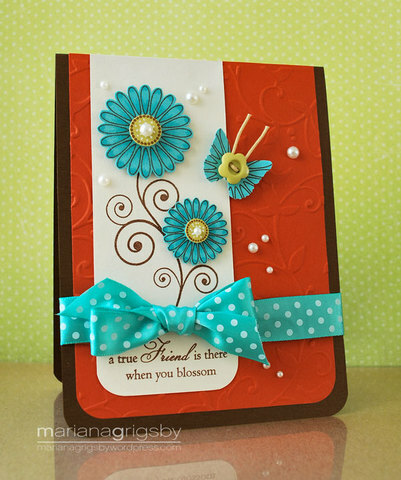 Immediately I spritzed my flourish background stamp with water and stamped that over the top. I heat set the colors, and then overstamped this gorgeous PSX stamp in versafine onyx black. That was then trimmed, framed in black and added to a white cardbase, but it came right back off again, so that I could stamp the flourish background on the base first. Then I added a wide grosgrain black and white dotted ribbon to hold my sentiment, stamped on a piece of the same background, and lastly the skinny little black and white gingham ribbon in a bow. Also entering this into Paper Sundaes challenge, to use fall colors and into Stampin' Sisters in Christ, challenge #57, to use autumn colors and/or leaves to comemorate this first day of Autumn! My stamp is called Framed Pansy, #2408K, from 2002. It truly is framed, so I had to cut out the flower to add to my stamped panel; it's all I could salvage for this particular card. Wish me luck! The background is a photograph of a quilt that is on my kitchen table during this season. Here is a picture of it, taken last fall. 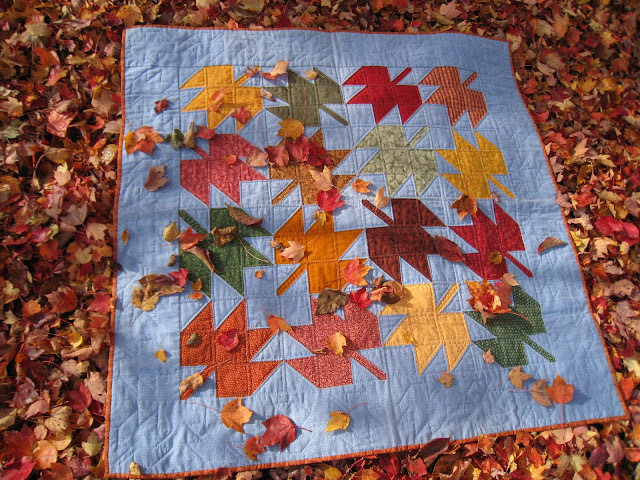 The quilt block is called "maple leaf" and I wanted to make a quilt that shows my love of the colors of autumn and the brilliant blue skies that we still have at this time of year. To see the card that I received from Betty in the card chain, see this blog entry. Wouldn't you love to live there? I immediately thought of my picket fence punch, and then my new Christmas set of houses from Hero Arts. So using the colors as required, I stamped and pieced the 3 houses, added the fence and the sentiments. I thought the little hearts were the perfect finishing touch, kind of like wreaths along the fence. I love this little stamp, that looks to me like apple blossoms, and so I was so glad to pull it out and use it again. It was stamped twice on the oval diecut, and once again to cut and pop over the top. I colored it with Prisma watercolor pencils and added some pearls. For my background I used the Victoria embossing folder on a pretty sage green cardstock, and the bottom panel is an old hoarded Frances Meyer designer paper. That was first lined with a peachy pink cardstock punched on one edge with a Fiskar's lacy punch. I used a dotted pink sheer ribbon and a Hero Arts sentiment to finish. At first, these colors turned me off, but after seeing some of the other entries, I decided to give it a try, and I'm glad I did - I really like these colors together - who knew? :) I used a stamp called Bird in a Circle, which covers the entire front of the card. I just stamped it with brown ink on kraft, light green, and yellow cardstocks and a dark green printed paper, and then cut the elements apart and reassembled them on the kraft base. I added a little bit of colored pencil details, some gems in the centers of the flowers, the little musical notes, and my sentiment, framed it up and mounted it on the lighter green cardstock. Made for Hero's current monthly challenge "Everything Autumn". The tree is a new digital kit found at Two Peas. I saw Deirdre's card using it and had to have it! I love that you can size it any way you want, and then color it to fit any season. I haven't played with my Young Deer since last Christmas, nor these Holiday Birds, so they were stamped, colored and cut out, along with my sentiment. 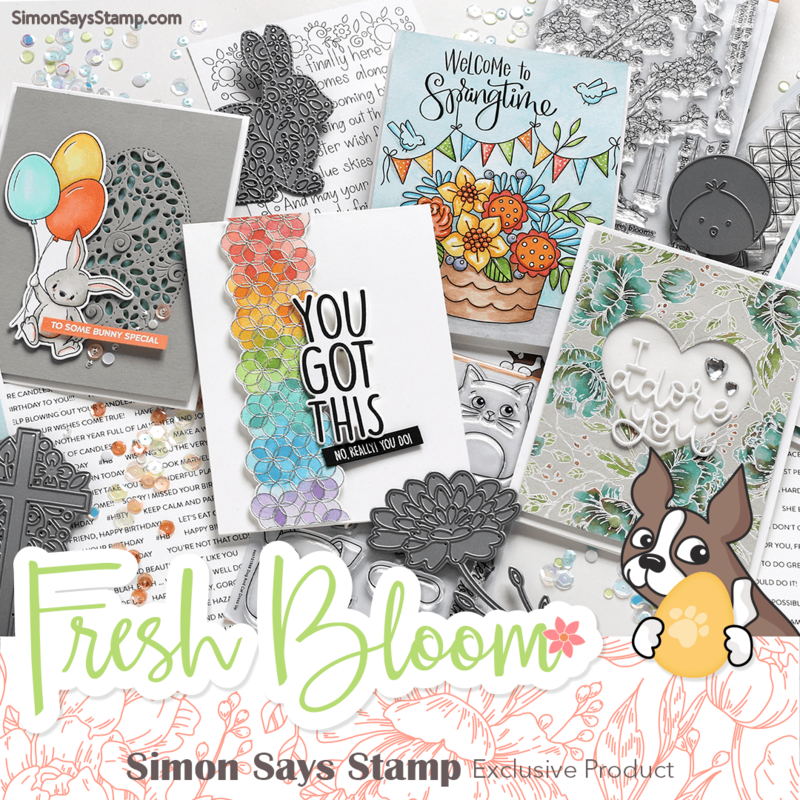 When I saw the inspiration picture I thought of my fern stamp set, which I should use more often......it contains 6 stamps, all ferns, in different sizes. For this card I first stamped them on ivory parchment cardstock with versamark and clear embossed them, then sponged peeled paint distress ink over them. Next I started with another piece of the same cardstock and stamped the ferns with peeled paint and shabby shutters. Then both panels were trimmed and attached to a green cardstock base, adding the organza ribbon and the sentiment. I think the thing that struck me first about Betty's card below is her use of that beautiful pale green as her cardbase, and then adding in all the autumnal colors. So I started there. All of my quilt panels are scraps of printed papers that I've collected over the years, except for the stamped one in the lower left and the embossed one on the right edge. Just as Betty did, I added a pale green to the mix. After I'd sewed them all down, I added this felt row of pumpkins which my friend Yvonne found years ago and tied on the little tag with some twine. Then I stamped and cut out some little maple leaves and arranged them so that they look like they're blowing around. Feast your eyes on this masterpiece that I received this week from Betty. Is it not a poster for autumn? 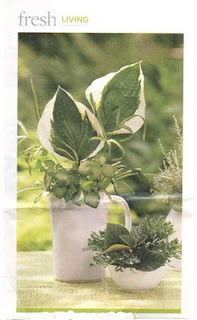 The colors are magnificent with texture and pattern and stitching and REAL leaves (coated with Glossy Accents)! It looks like a miniature quilt, don't you think? If you'd like to see more of Betty's gorgeous creations, here is her Flickr photostream. And she also sent me one of her adorable notepads! I received this as a result of Deborah's monthly Card Chain. 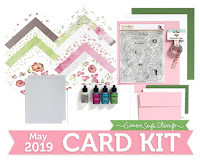 Each month she gives us a color scheme, a choice of themes, and a template to use to make our card. We sign up at the end of one month for the next month, and everyone sends someone else a card following the guidelines. We have participants from all over the world! 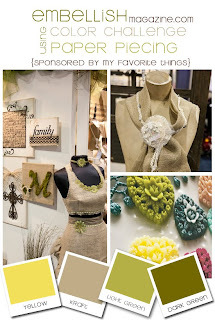 If you'd like to get in on the fun, check Deborah's blog at the end of this month and sign up! I LOOOOVE everything about this card, the layout, the dazzling colors, it is amazing! Here is my humble attempt at casing it. I have no idea how to work that limey green into mine, so I did not include it. But I used the rest of the colors and the layout. I will also be sending this along to Operation Write Home, as it fits into one of the challenges at Flickr. Over at the Hero Arts flickr site, we are having a whole weekend of card-making! Our aim is to make and send 500 cards for Operation Write Home. 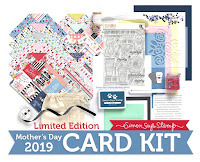 In case you're unfamiliar with this wonderful organization, here is their purpose: "Supporting our nation's armed forces by sending blank handmade greeting cards to write home on, as well as cards of gratitude to encourage them." Please consider taking some time this weekend to make some cards for our heroes. There are loads of ideas and challenges at Flickr, and if you upload your cards to the flickr site, you have a chance of winning prizes! And you can use any kind of stamps you'd like, not just Hero products. Hero Arts asked each of the Hostess groups, current and alumnae, to come up with a challenge. My sistas came up with making cards of encouragement. Here is the card I made as an example. I looked through all my sentiments and picked out the ones that fit this category, attached them all to an acrylic block, and then stamped them all at once. Then all I needed to do was to add some punched hearts and highlight the xs and os with a marker. 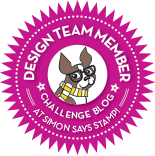 The challenge at PDCC#46 is to use black and white with a splash of either pink, copper, or gold. I chose the copper option and made a simple thank you card. The background is 2 different design papers, the frame and sentiment are stamped, and my flower is made of a metallic copper cardstock, which lost most of its glow when I wet the paper to form the petals. It's still copper, though! 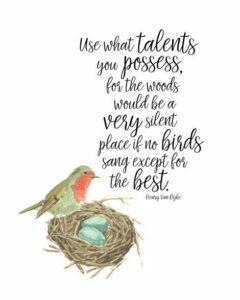 I just received a new Hero Arts clear Christmas set with this sentiment included, and it seemed perfect to pair with this older birdhouse stamp and the pine bough from last year. I clear embossed the pine bough and the sentiment, and white-embossed the snowflakes, then added a little glitter here and there using a glue pen. The birdhouse was paper pieced, as was the bird. And I added some metallic red gems to the holly. Lisa Spangler has a tutorial this morning on her blog and also on the Lawn Fawn Blog, showing how to make cute little felt pumpkins. I thought I'd share my fabric pumpkins, made very similarly, that I've been making for many years. They are about 4" in width for the larger ones, and 3" for the smaller ones. At this time of year, they are scattered all over the house. And here's another one that was made by a friend of mine. It started out as dryer vent, some silk leaves and a cinnamon stick! It's about 7 or 8 inches wide, isn't it something?! I've been blogging now for not quite a year and so it's high time to have a little giveaway to thank you all for your support and generosity of spirit that I have found in this wonderful community of creative women. I have an extra of this Watercolor Petals set that I'd like to give to someone, and I'll also make you a fabric flower pin of your choosing. I'll just ask that you become a follower, and then leave a comment on this thread, telling me your favorite time of year. I'll leave this open until September 30, and then on October 1st (my favorite month of the year), I'll choose a winner. You can pick a color and which of the flowers you'd like me to make for you, either the Stencil Flower (shown here in pink plaid, the flatter of the 2) or the Large Flower (much poofier one). Thanks! The challenge at the Shabby Tea Room is to make something with a tag. I decided this was the day to use my Webster's Pages that I've been hoarding, and chose this lovely peachy one. I stamped the Circle Doily and embossed it in white and made a paper flower with Core'dinations cardstock to center over it. 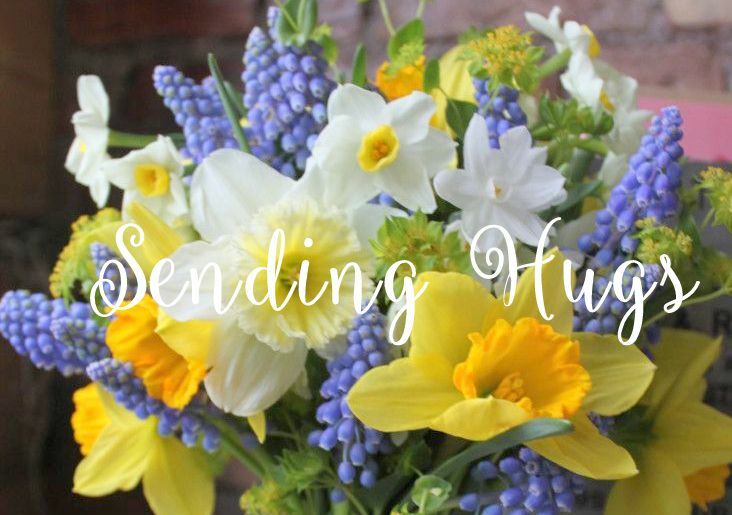 (Vanessa is so right; I want to make flowers like this for EVERY card I make!) 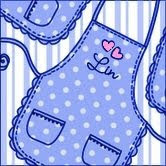 My tag was first stamped with a music background in a pale ink and then with the sentiment. And I added my brand new wrinkled ribbon from Really Reasonable Ribbons. I had stamped several large butterflies to use, but I went outside and noticed many small butterflies all fluttering around our blue salvia and the effect was so charming that I decided to use small butterflies on my card, picking up the aqua color along the edge of the paper. The beautiful beaded one was made by my friend Yvonne, and the other 2 are K&Company Susan Winget grand adhesion stickers. I'm also entering this into the Really Reasonable Ribbon Challenge, to use flowers and ribbon. For the CASE study challenge #4, my second entry, using the same background paper as my first entry - love this peachy color! This time I followed Maki's sketch almost exactly, and used probably my favorite Hero Arts stamp of the year, Hydrangea. I've never seen a peach hydrangea, but give them time, and I bet one will be developed soon! I'm also submitting this to the Hero Arts challenge for the month, Everything Autumn, and have joined the HA Flickr blog hop beginning today. We were to show off our style, and this is pretty much me: flowers, laciness, pastels, hand-coloring, paper-piecing. You should have arrived here from Anita's blog - thanks so much for stopping by! Now move on to Anne's. Hero Arts has been very good to me, and the Flickr group is the best! Overloads of talent, all freely shared. I'm so glad to be a part of it! I loved the colors so much from the Play Date Cafe Challenge (see inspiration picture below in my previous post) that I wanted to try a 2nd idea. I used the technique that Heather pointed us to with some 6-petal flower templates in 3 sizes to make my flower and the sketch from this week's Waltzingmouse Sketch challenge. 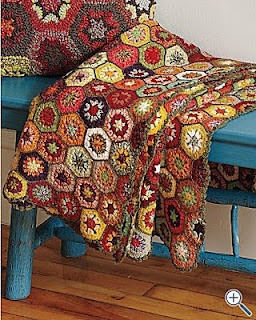 To me the sketch looks exactly like an Amish quilt pattern called Center Diamond, and these colors would be very Amish except for that bright orange! So last night after I had made the first card I used the mauve paper to make a flower and let it dry overnight. Then this morning it was easy to put this card together. Again, I clear embossed some patterns on each square panel before assembling, just to give it more richness. I thought this gold filigree button was the perfect center for my flower, and to me, it looks like the last rose of the season. I used the exact same papers (except the plaid) from my previous card, but they look so different! I didn't add a sentiment because I just didn't want to mess up the symmetry of this design. 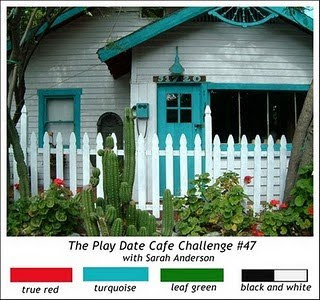 The colors for the Play Date Cafe Challenge are so yummy - I love that winey, mauvy color (see inspiration picture below). 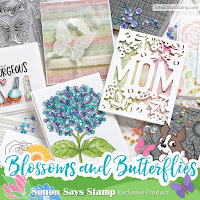 Most of my card uses solid cardstocks, overstamped with a flourish background and clear embossed to give a rich tone-on-tone look. This is such an unusual combination of colors; I already have another card in the works.